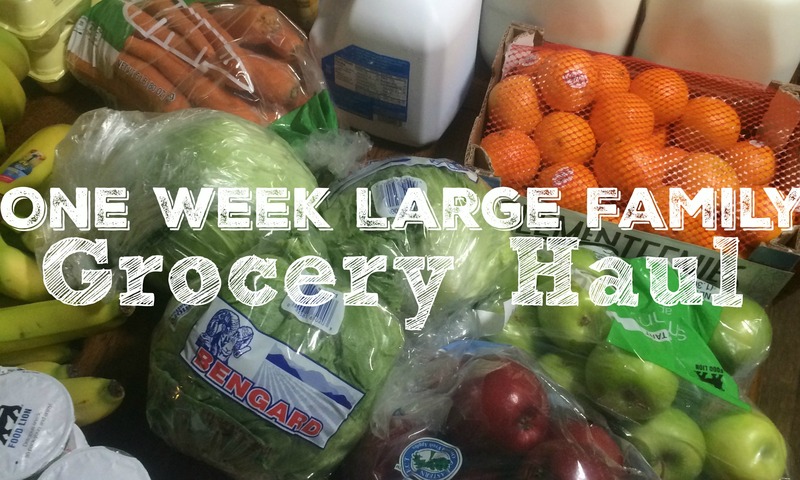 Last week I went out for a quick one week grocery shopping haul at our local small town grocery store. I didn’t need to stock up on meat this trip. It was the basics for life around here. 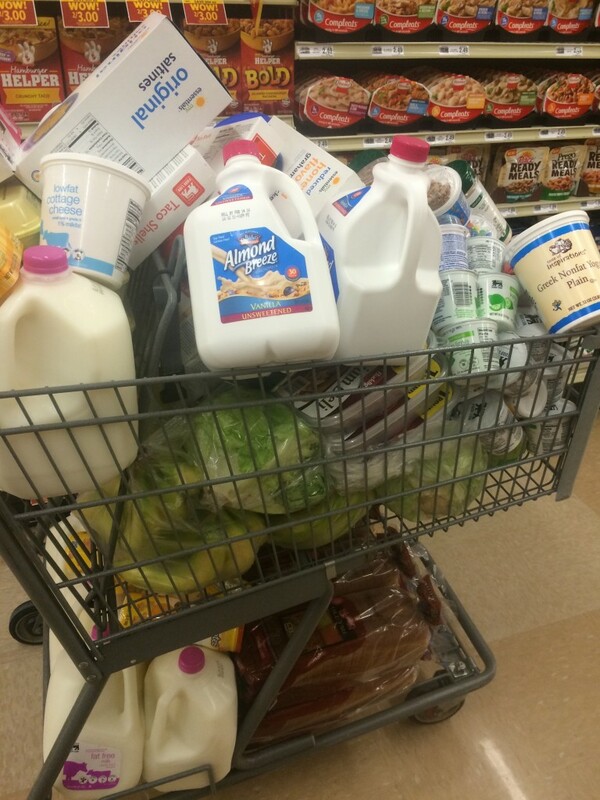 Lots of milk, bread, fruit, and yogurt. 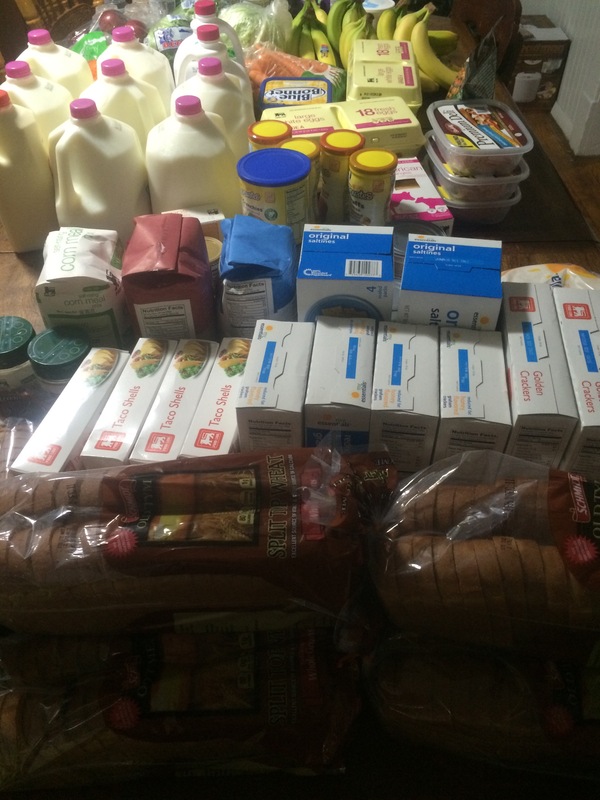 I also picked up a lot of baking supplies since we’re firing up our bread machine (finally! ), and doing lots of just-for-memory-making-sake holiday baking. 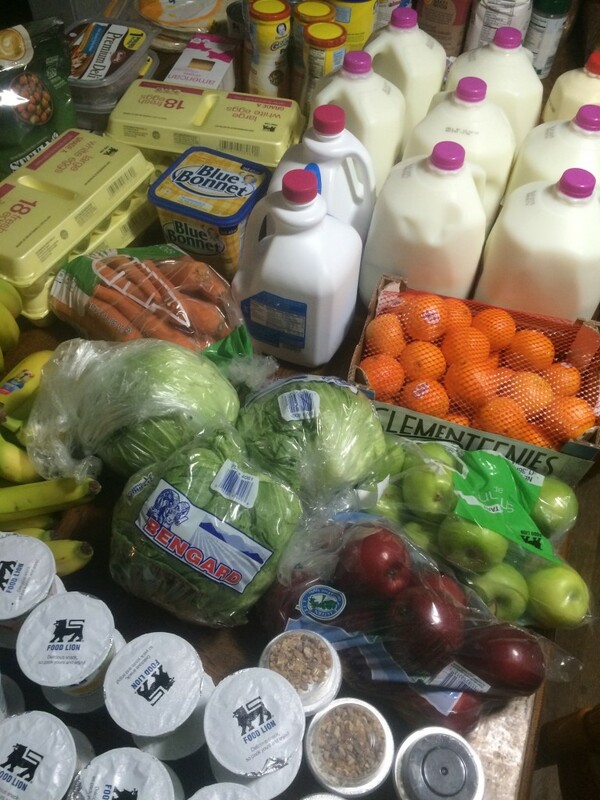 Now if you’re new to this blog or YouTube Channel, my preferred way to grocery shop is once-a-month grocery shopping. When too much real life happens, like our current broken alternator in our 16-passenger van, I have to settle for a one week grocery shopping haul in between the bigger trips. 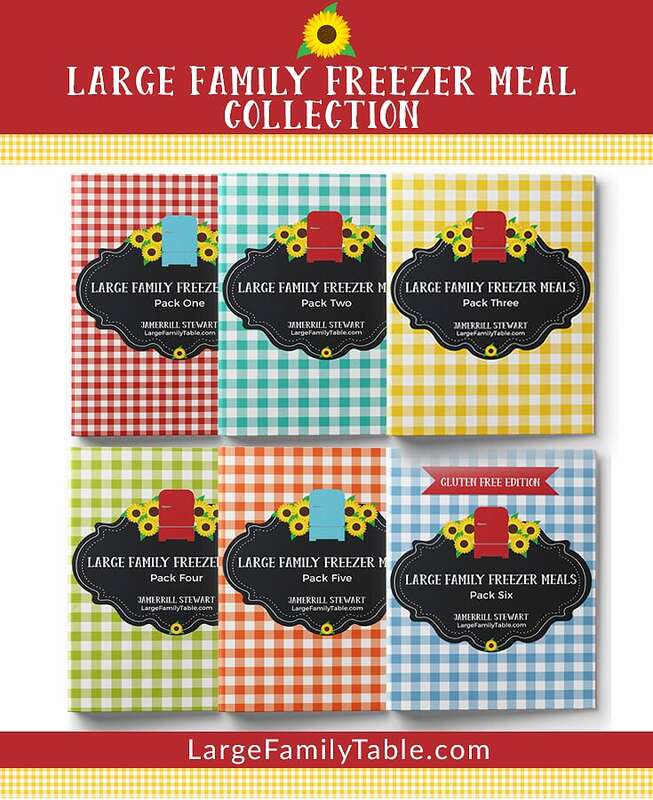 Another question I get is about our Large Family Grocery Budget Breakdown with Large Family Grocery List. Yes, I use to be on a super-tight budget and for many years fed our growing family of seven for $400 a month or less. It wasn’t a perfect plan, but moms are amazing and I worked every penny the best I could to provide for my family. Fast forward several years and I now work part-time running a full-time business (which includes 4-5 people on my team to help make it all work), homeschool 5 children, plus a toddler and a baby. Yee-haw, so I buy items now that make my home management and home life easier in the middle of it all. Tomorrow I’m going to share my experience so far with (affiliate link) Amazon Subscribe & Save and how it’s saving me time and sanity (and not costing me anything extra) on household goods. Be sure to check back here at the blog and on YouTube for that new vlog and article. Why the YouTube Name Change? A quick note: more info is coming soon on my online name change to “The Encouraging Homeschool Mom.” You’re going to see me using that heading more online over the next coming weeks. This site URL will change to TheEncouragingHomeschoolMom.com. On Facebook I’ve created a The Encouraging Homeschool Mom page (if you could like that for me, please 🙂 ), and I’m hoping to merge that with my Jamerrill Stewart page. I just wanted to let you know who The Encouraging Homeschool Mom is if you see the name out and about. It’s just silly ol’ Jamerrill, running her mouth on the internet. Really though, it’s a name I feel the Lord has laid on my heart. I’ve owned the URL for awhile. As I’ve prayed for guidance with my online endeavors it’s the heading where peace has rested, so I followed peace.